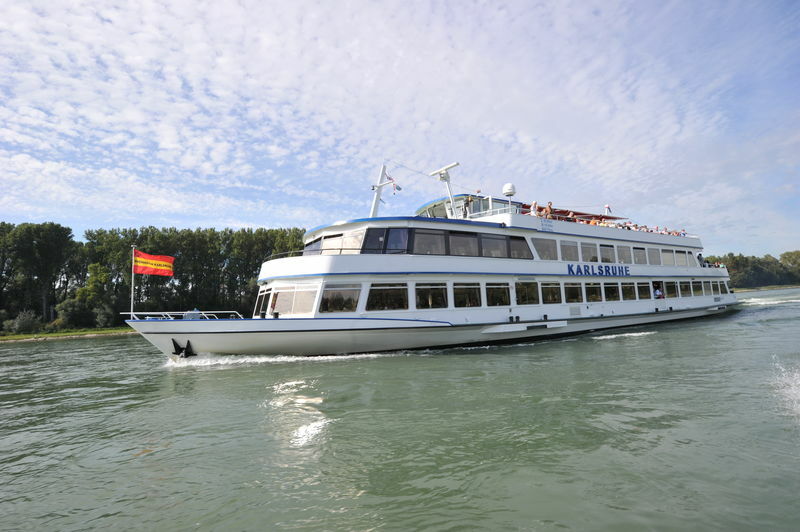 The MS Karlsruhe offers boat trips on the romantic river Rhine. Destinations include Germersheim, Speyer and Worms to the north, and Iffezheim Dam and Strasbourg to the south. 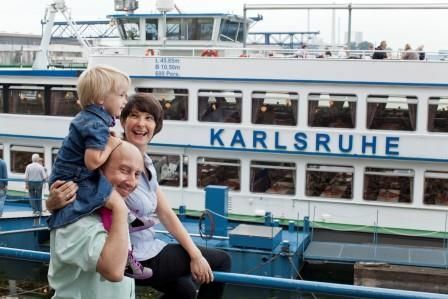 The MS Karlsruhe sails from March to November, with regular sightseeing trips and excursions. The boat can also be hired for private functions. As soon as the mooring lines are released, the quayside atmosphere sets in. The first stage on your trip on the MS Karlsruhe is a passage under the stately barrage gate before steaming out onto the river Rhine and sailing past the lovely Rheinaue wetlands. Destinations: Mannheim, Speyer, Karlsruhe, Iffezheim, Strasbourg, Worms. Season: From March to December. Sightseeing tours, excursions, private functions (entire boat can be hired). To find out more, visit the website of Rheinhäfen.